Yamaha YBA-11 Bluetooth Wireless Audio Receiver is a truly High Fidelity product and suitable for Hi-Fi system only. It provides only the digital coaxial connection, no analog output available. The amazing part also limits its own usage. Unlike generic Bluetooth receivers, this adapter is fully digital and has superior sound quality comparatively. I got this Bluetooth wireless receiver over the overly reviewed similars, because this receiver chooses apt-X coding for streaming audio. It’s completely digital to digital no conversion occurs. apt-X codec ensures the high quality of sound via Bluetooth. I pair this with my Galaxy S4, and link it into a home stereo system in the living room. The sound quality is crisp and clean. Thanks to the good audio quality compression of apt-X, no distortion introduced by this unit at all. I get about 25-30ft of range before I really start to see some degradation in the connection. The range is very impressive. When I compare it with some other Bluetooth wireless stand-alone speakers it is vastly superior. The only complaint I have is it doesn’t auto-reconnect when I get into the range. Honestly this really, isn’t even a complaint, because none of the Bluetooth receivers at this price has this function, and it only takes me one second to do that. Auto reconnection is only available with the Grace Digital Bluetooth Receiver for now. One of the most important is that your source device should also support apt-X codec to get a digital lossless steaming via Yamaha YBA-11, my Samsung S4 does, as I use this solely for this device. 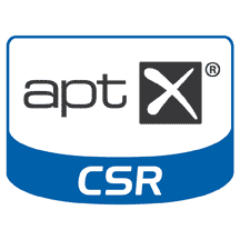 Apt-x coding needs both the source device and receiver to be capable of supporting the technique to function properly. It doesn’t mean YBA-11 has a compatible problem with other Bluetooth devices. This receiver works well with all kinds of smartphones and tablets. Without apt-x supporting you can get wireless sound through Bluetooth receivers as well, just not so good as this one. Then I suggest HomeSpot Bluetooth Audio Receiver or Logitech Bluetooth Adapter. They are both best sellers and the prices are much lower than Yamaha YBA-11. The device has a USB cable within the package, but no USB charger included. Because it is designed to work with Yamaha’s newer model AV amplifier, which usually has a standard USB port. If you want to use it with other systems or some older receivers/amplifiers without USB ports, therefore you would need to get a USB charger to power the device. You must have a receiver/amplifier with coaxial digital inputs. They normally have an orange color label and specifically indicated digital audio or digital in. And you need only one single not a pair of cables to connect them. As for now these products support apt-X: iPhone 5, iPhone 5s, iPad mini2, iPad air, the new iPad , htc one V ,HTC one X(XT),Galaxy S4，GALAXY note P3,GALAXY Tab 7.0 Plus , galaxy s3 , galaxy note 10,iPad 3,iMac produced after 2011. If you want a clean digital output with apt-X and good range this is your best bet. The striking difference between it and other Bluetooth receivers is very noticeable. Yes, Yamaha is approximately $20.00 higher in cost but well worth it for the difference in clarity and fidelity. All in all, I would have to recommend this to anyone wanting the best Bluetooth experience from a tablet or phone to a large audio system. keep it simple in relation to setting up your home theatre audio system. Most importantly, make every one of the connections right, and get assistance from your employee of the store that you bought your home entertainment from. I purchased the YBA-11, however, my yamaha receiver only has HDMI inputs (not usb). Is there a converter or hdmi transmitter cable? Are you sure you Yamaha receiver has only HDMI inputs. You can send me what is the exact model. 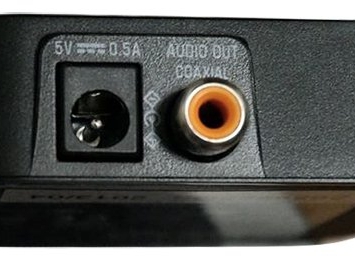 Most Yamaha audio or video receiver has RCA inputs. Maybe yours are compact video type. If yours are only HDMI capable you can bridge the signal through this converter. It cna convert analog audio and video input to digital HDMI output. yo puedo utilizar el receptor yba 11 en un amplificador sony viejito pero bueno o un sonido kicke. se puede adaptar? Si, siempre que tenga entrada Coaxial. Yo se lo regalé a mi papá para su cumpleaños y lo probamos ayer. Tuve problemas con sus equipos HI-Fi, pero funcióno super bien con su sistema de Home Theater Sony, conectandolo al Coaxial/Digital y la alimentación al USB. Can I confirm that the iPhone 5, iPhone 5s, iPad mini2, iPad air, the new iPad support apt-X? A search of forums and Apple literature does not call out apt-X specifically. If they do (and so I imagine the 6 and 6 Plus would too), this would be amazing! Until now we see any evidence that apple wants to include apt-x codec in any of their mobile products by which I mean: iPhone, iPod and iPad. The only exceptive are imac pro. I don’t know why. I bought the YBA-11 and it works great with my Yamaha amp playing music from my Samsung s4 phone. However I tried to get it to work with my laptop, which does not have Bluetooth as standard, so I purchased a cheap usb Bluetooth dongle. It doesn’t work. They can see each other but it won’t link. What would the problem be? 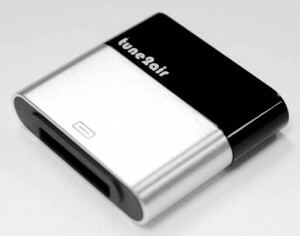 Is there a usb Bluetooth dongle you can recommend so I can get it to work with my laptop please. Sorry to here that your YBA-11 has some incompatibility with your laptop’s Bluetooth dongle. For recommending a Bluetooth dongle we need more information. Would you please present us your laptop model running which system? So I or maybe somebody else here can give you a more specific and useful suggestion about this puzzle based on it. I hooked up the YBA-11 .. the only coax I a have on my RXV661 Yamaha reciever is the one that is marked cd or dvd .. these inputs do not work when pushing these input buttons on the remote for this coax input ..
not sure where to hook it up to .. I have no receiver of this model. 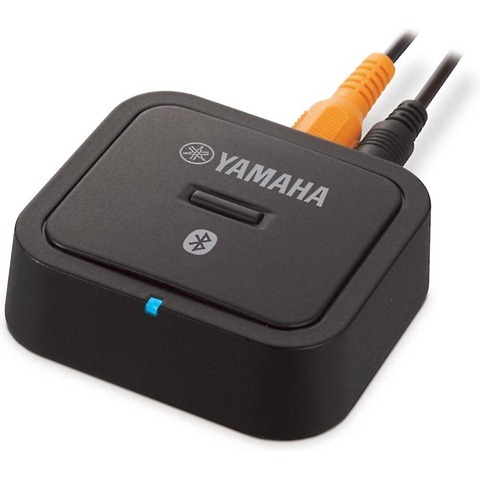 But based on the description I found on the Yamaha website either one you mentioned will work fine with YBA-11 Bluetooth receiver. Have you ever tried other receiver? the problem is these inputs I cannot get to work with the remote inputs that are available ..the remote imputs work with the Rca inputs etc ..
how do I get these to switch over ? I have a Yamaha AX-V661 receiver! Will the YBA-11 work with this receiver? Theoretically the answer is yes. But if you have read all the comments you will notice someone owns the same model like you encounters some connection issue. WII’ll this allow me to stream from my Yamaha recivet to a Bluetooth speaker? If you mean wirelessly you need a bluetooth transmitter not a bluetooth receiver. Will this receive audio from my Samsung Smart TV? And is it only stereo or can 5.1 be sent over bluetooth? It is designed to receive any Bluetooth source device including Smart TV. Does anyone know if this device is compatible with the R-1330 (MCS-1330)unit? The cheap bluetooth ipod dock receiver doesn’t work, connecting media via aux plug is driving me nuts. I got this to go with my Yamaha A-S701 AND CD-N301 and it works great but I wish it had a volume control like the AV controller. Also is there any way to input track names into the CD mode? I’m using it on my Ipad air 2. Sorry you can not get the function you wish with this product. The only one I know that is capable of that is for car. I have a Yamaha RX V671 receiver. Will YBA 11 bluetooth receiver work with it? Will it work with yamaha rx-v595rds reciver? RX-V 365 has a coaxial digital input in the back. So you can get a Yamaha YBA-11 to work with it. And thanks for commenting in this post. Any device that owns a coaxial digital input will work with Yamaha YBA-11 flawlessly. hi I have been using YBA11 for past two months, it is connected to my Yamaha Yht 299 amplifier. I am able to connect to the yba 11 device from my mobile but there is no sound output I tried change the coaxial cable to audio 1 to 2 in the amplifier. I tried it from other mobile devices too it’s not working. please suggest any troubleshooting methods. Sorry to know that but I have no idea how to fix it. Are you sure you have connected it through digital Cox slot? YBA-11 will work with your RX-V371 nicely! connect on the coaxial CD-Input? It’s the only coaxial that is left free on my receiver. and also where to connect my DC out on the the receiver??? You must connect the Bluetooth receiver to an coaxial output slot NOT input. If my receiver doesn’t have a digital coaxial connection, can I use a coaxial to optical converter? Is there any way of using this on a Yamaha R-S500. The guy at a well regarded stereo store said I could an after buying the receiver and looking into this adapter a year later I don’t see an orange coaxial input, or any digital input (i.e. optical). Wondering if I was scammed. 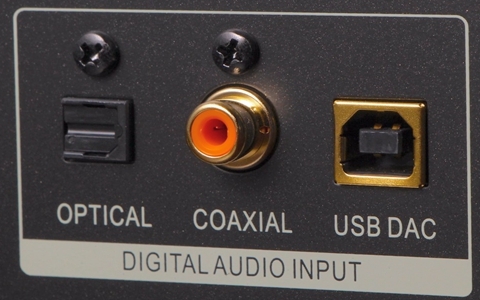 A coaxial input can be orange or red. Unfortunate your Yamaha R-S500 has no digital input of any kind. The best way you have is to find a Bluetooth receiver with AUX output. We have a lot of high quality Bluetooth receiver that match in this post. 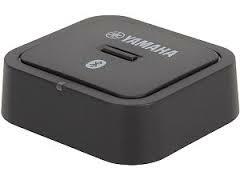 Tell the truth some of them are better than This Yamaha Bluetooth YBA-11 receiver. Will this device work on my Yamaha RX-V2065 receiver? I can’t see if my receiver support APTx. Is the Yamaha YBA-11 compatible with an iPhone 6s Plus? Hi. I have borrowed this Y YBA-11 just to try streaming from a Samsung S6 to my Denon AVR 4306 receiver. The triggy thing was to setup the COAX input. The Denon names for COAX enabled inputs is CD/DVD. And in settings you can assign which input the CD/DVD shall use. I see some people having some trouble with other receivers. Thank you for sharing your unique experience with us. This will help others with the similar problem. Thanks again!